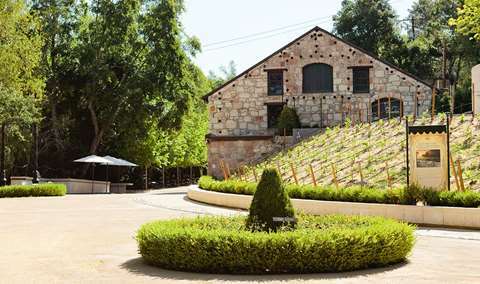 Join the Vintner: Wine and Delectables Tasting Seminar overlooking Sonoma County at the vineyard of this family boutique winery specializing in Pinot Noir, Sauvignon Blanc and Dry Gewurztraminer. By appointment. Call for same day reservation. Approximately 1.5 Hours. 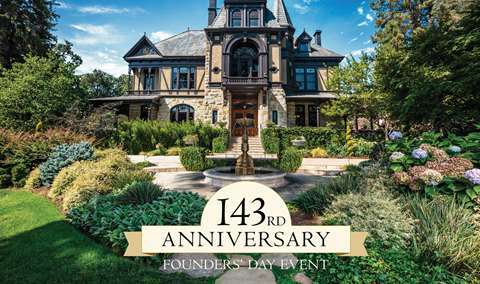 Join the Vintner: Wine and Delectables Seminar overlooking Sonoma County at the vineyard of this family winery specializing in Pinot Noir, Sauvignon Blanc, Dry Gewurztraminer and Dry White Zinfandel. 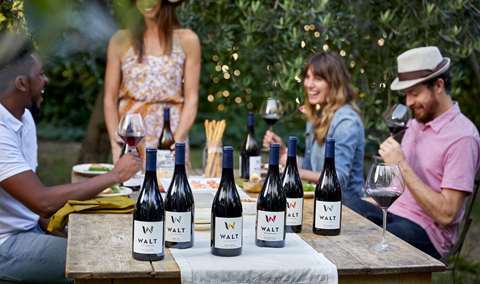 Judged # 1 Pinot Noir in North America in the 2019 San Francisco Chronicle Wine Competiton, TWICE. Two Halleck Vineyard wines owned the Pinot Noir category. 7200 wines competed. A family one-acre site, Halleck Vineyard is perched above the Russian River Valley and flanked on the west by the slopes to the Pacific Ocean. A passion for Pinot leads the charge. Our Estate Pinot Noir was judged #1 Pinot Noir in the U.S. in 2003. Enjoy the afternoon learning, tasting and enjoying. This is a seminar that touches all the senses. 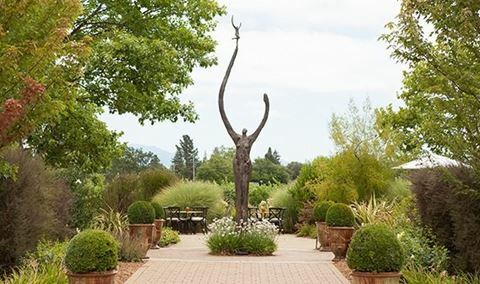 In an idyllic West Sonoma County setting at the home of Halleck Vineyard, savor the wines that continue to draw accolades paired with local organic artisan cheeses, handmade chocolates of Pinot Noir, and organic delectables from Sebastopol. As you sit by the fire pit next to the vineyard or on the deck overlooking all of Sonoma County, you will drink in the good life that Ross and Jennifer love to share with their guests. 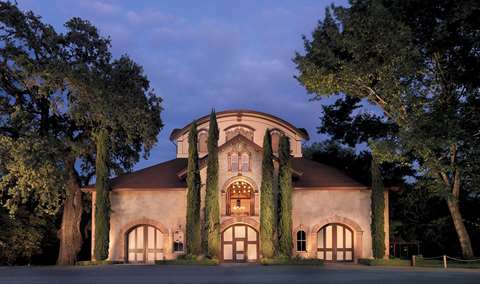 Of course, you will be hosted by the vintners, regarded as pioneers in the high reaches of this Sonoma Coast vineyard. It will be memorable. Join them in celebrating community with their extraordinary fruits of the earth. We use a variety of farming techniques to achieve extraordinary fruit, one in an infinite number of secrets to creating great wine. We choose specific clones, site location and flavor profiles. We consistently walk the rows, paying attention to the subtleties of the vines, the architecture of the clusters, the diurnal fluctuation of the leaves, the texture and flavor development of the seeds. Farming grapes is both science and art. Our role is to shepherd the fruit to its greatest expression using guidance and inspiration of both. This was an amazing experience. From the breathtaking view of the mountains in the distance and the Estate vineyard just out the glass wall of windows, to the knowledgeable, charming and personable host, Jennifer Halleck, to the amazing wines, this wine tasting was the highlight of our trip. This is somewhat my own fault. I didn't take the time to do enough research. I knew there were some small family owned vineyards - and I was expecting this to be a small one. But when we arrived there was no signage, the gate was closed and there was no way to really know if you were at a persons house or a vineyard for a wine tasting. It felt very uncomfortable. 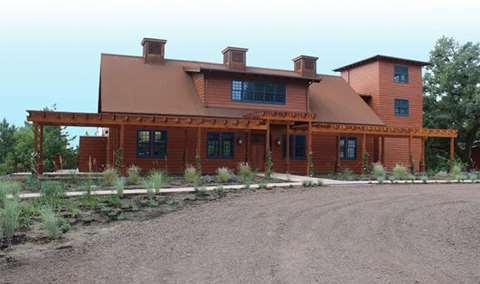 Halleck Vineyards is a very special place located in a beautiful location. Ross Halleck lead our group through a wonderful and informative tasting of Halleck’s delicious wines. Ross served cheese and chocolate that allowed us to experience the difference in taste of the wines when consumed with the cheeses and chocolate. Our wine tasting at Halleck was great. I highly recommend it. Myself, Cheryl and Lisa went to Halleck for a Tasting. I am a member of their wine club. Ross treated all of us like family. I have been before, my friends haven’t. We all came away feeling better for the experience. Did not expect to arrive at a private residence; however, the hostess quickly put us at ease. The wines were good. Would recommend as a place to visit that doesn’t have the feel of a big vineyard. The location was beautiful and the proprietor was very hospitable. We learned a lot and enjoyed each of the wines and the food pairing. You only tasted food with half of the wines though. I thought it was very unique but my husband did think it was a little weird, hence the 4 stars. Spending time with Ross Halleck was a treat. He walked us through his personal history, the history of the winery and did an exquisite job with the wine tasting, including a food pairing seminar. His wines are outstanding as well! We joined the wine club, The Inner Circle, on the spot and we look forward to enjoying Ross, Jennifer and their wines for years to come. I high recommend this tour! Personal attention. Very knowledgeable. Attention to detail. Ambience is relaxing with beautiful views. Learned so much! Incredible, very special wines! Halleck Vineyard is not your typical wine-tasting. You are welcomed into the home of owner/operator, Ross Halleck and sit down with him for a lesson in wine tasting, cultivating and stories about harvesting during the recent fires. Pairing a selection of Pinots, a Sauvignon and a Gewurtztraminer with local cheeses and chocolate is like spending an afternoon sharing really great wine with a friend. The wines were good but I wasn’t into the one on one experience. There were a lot of silent moments and the conversation seemed forced. He didn’t make me feel very welcomed. I was counting the minutes till it was done. Become a member and make friends for life! Hands down the best tasting experiences. A warm environment for people of all ages and experience levels. Conversation was lively and took some very fun and surprising turns, the wine was amazing as always, and it was the binding element that joined us together. As a first visit to the US and any winery, we found the whole experience Entertaining, Educating & Exciting. Ross provided us with a warm, knowledgeable, almost spiritual experience of superb wine, excellent food parings, exceptional conversation and knowledge, and warm hospitality. 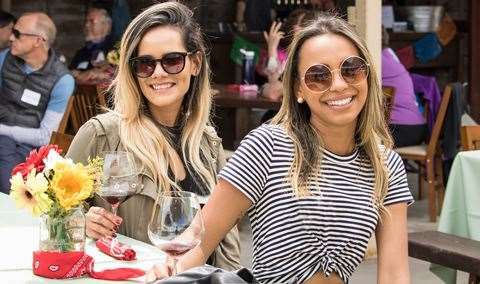 Best wine tasting experience we've ever had. Well done worth the ride up. Ross knows his stuff. Quite a ride to get there (about 75 minutes from Fairfield) with winding roads and hills with many turns, but a good navigation system will get you there and it will be worth the trip! We (generously) sampled six wines. Owner Ross shared a lot information about wine history and wine making. 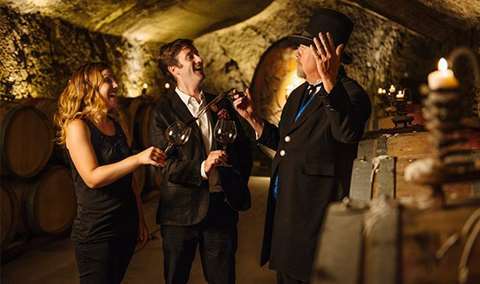 If you are looking for a more personal wine tasting experience, this one is a must! Ross provides an excellent, intimate experience punctuated by charismatic presentation and delicious wines served with creative pairings. 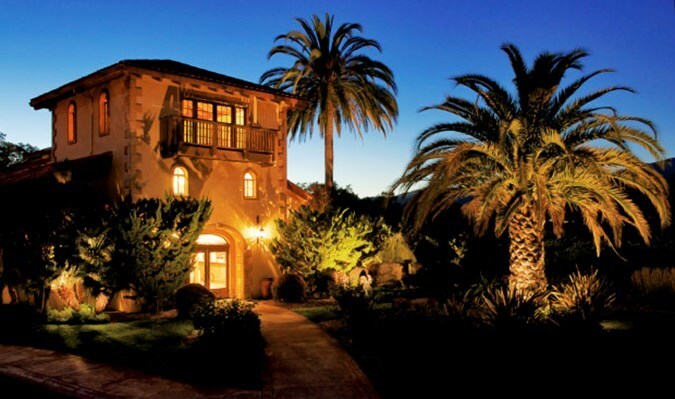 Halleck wines are outstanding and this idyllic venue allows a guest to really make contact with them deep in the heart of the Sonoma Appellation. If you are a fan of Pinot Noir, Sauvignon Blanc and Gewurztraminer stop in and enjoy. Our experience at Halleck was nothing short of marvelous. Upon arrival, we were greeted by Ross Halleck, shown through his house and seated around a large table on his patio overlooking the vineyard. From there, it just got better: wonderful wine complete with descriptions, history, a brief lesson on how to taste, and delicious little bites to accompany each. I'd go back in a heartbeat! Very enjoyable. Lovely experience. Terrific wines. Very knowledgeable and interesting host! Ok so at first we weren't 100% sure we would like this one. This vineyard is much different than any of the others we had visited on our Sonoma tour. This really is a one-man show. But once you get started...wow! This man invites you into his home and shares his passion with you. And bonus...his wines are fantastic. An experience we will never forget. Jennifer and Ross are excellent hosts. They are gracious hosts who share a wealth of knowledge about wine and food. I highly recommend them to anyone visiting Sonoma. What a wonderful experience! Ross, the owner, is very friendly and knowledgeable about wine and the science of taste and smell. The wine is wonderful, and the food pairings are tasty and interesting. For the tasting, the 12 of us sat at a table on Ross's back deck and looked out over the valley and chatted about wine and food. It was a fun and relaxing afternoon. Ross is GREAT! The property is beautiful! The wines are truly fabulous! This was one of the most informative, interesting, and enjoyable tastings we have ever had. 5 stars!!! Highly recommended. Amazing! The most wonderful wine tasting experience I've ever had. Halleck Vineyard was a perfect way to experience an introduction to the soulful and organic life that is wine. Ross's property was stunning, rustic and uniquely spiritual. His love for the craft shows itself through every drop of his wines, as well as within every bite of the pairings. Ross Halleck gave us a total wine experience: graciously in his beautiful home, expanding our wine tasting skills, sharing the nuances of making and tasting his excellent fine wines, with his wine pairings to exquisite salmon, cheeses and chocolate truffles, and authentically inviting us to join his wine club family. A must have wine adventure! While we were a little surprised that it was a private home when we first arrived, Ross and his son could not have been more welcoming, the setting was absolutely beautiful and the wines and pairings were all fantastic! It's a home surrounded by vines. Owner is a great guy, a bit on the "hippy" side of life, a free spirit, but he grew on me as the tasting went on. By the end I joined his wine club! Loved it. Our visit to Halleck was absolutely fantastic. Ross, our host, was informative and engaging. The wines were excellent - we immediately joined the wine club! The views from our seats at the fire pit and on the deck were amazing, and we hated to leave! The vista, the wine, and the hospitality were all incredible. From the moment we arrived, Jennifer was the consummate host. We thoroughly enjoyed the entire experience at Halleck. The wines were outstanding, the cheese/pate/chocolate pairing outstanding and their story inspiring. Thank you! We did a tasting at Halleck on a very chilly day in Sebastopol; Ross was kind enough to host my wife, my dog and I in his house for our tasting. He took us through the proper way to taste wine, offered cheese pairings, explained the short history of Pinot and other vintages, and essentially immersed us in the process. Amazing views, amazing wines, and a great experience with Mr. Halleck himself. Outstanding wine, in a great setting, with a knowledgeable and friendly host. What more could you ask for? 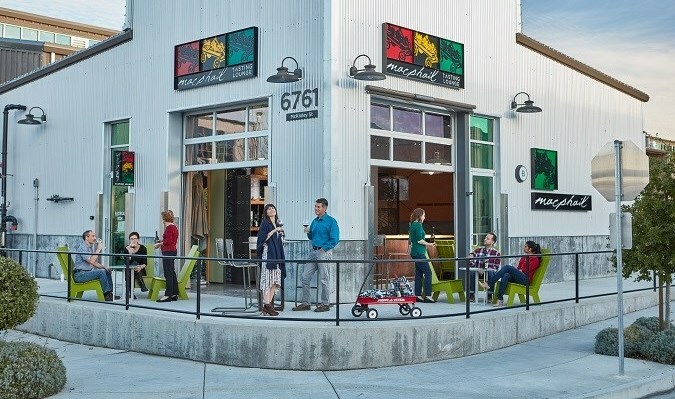 Both Jennifer and Ross were exceptional, during the scheduling process and day-of tasting. 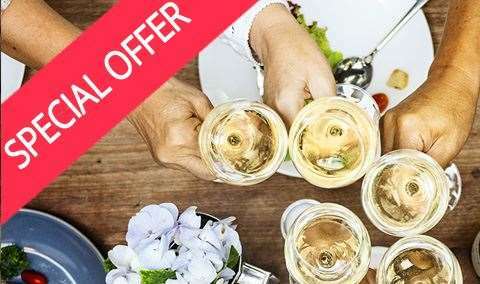 Our group had a very special, intimate experience and I will recommend this opportunity to everyone I know who enjoys wine tastings and education. Lovely and intimate tasting! The tasting actually takes place at the beautiful Halleck residence. Sit outside next to the vineyard, or on his back deck and patio staring out at the estate fruit and beautiful view. Ross was very informative, the cheeses paired beautifully, and all the wines we tasted were divine. Casual, unpretentious, no pushy sales pitch. Just a great time. Had a great time tasting at Halleck. The wine and cheese pairing was really interesting and both were delicious! We really enjoyed having the private tasting, we asked a lot of questions and Ross was very knowledgeable. It's not easy to get to Halleck and there are no signs, but believe me, it's worth it! The view from the deck is exquisite!